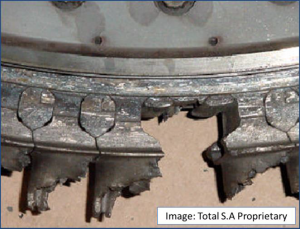 The goal of the Hot Corrosion Working Group is to understand the likely causes of hot corrosion and address hot corrosion damages on the hot gas path parts of the gas turbine, particularly off-shore or in coastal regions. The involved ETN members will be able to share issues, participate in the metallurgical analysis of damage mechanisms, and influence the outcomes of the project. They will receive direct feedback from leading technical experts in the R&D and GT Users’ community on the most effective mitigation options and the potential ways to overcome the problem in the future. Hot corrosion is a major cause of damage, and service failures, which is seen in many operational environments when aggressive fuel contaminants (e.g. alkali metals, sulphurous species, etc.) and poor air quality (e.g. containing alkali metal chlorides) fail to be satisfactorily reduced or eliminated through filtration or other means and reach the turbine’s hot gas path. The resulting formation of deposits and gaseous operating environments lead to very aggressive forms of ‘hot’ corrosion which can rapidly lead to failures. The successful elimination of such damage mechanisms must be tackled through a combination of approaches to ensure that the aggressive combinations of contaminants do not reach the gas path with the use of materials and coatings with maximum resistance to this form of attack. The multiple factors involved in hot corrosion mechanisms mean that no single approach can be wholly successful on its own.